Oranjestad – What does Machika mean? To everyone who is searching for the meaning of the word “machika” on the internet. “Machika”, pronounced [machiká], officially written in Aruba as “machica” with a “c” and as “machika” with a “k” on the islands of Bonaire and Curaçao, is a word from the Papiamento language, spoken on the Dutch Caribbean ABC islands. “Machika / Machica” means “to mash”, “to wrinkle” or “to crumple” in English, and “machucar” or “machacar” in Spanish. 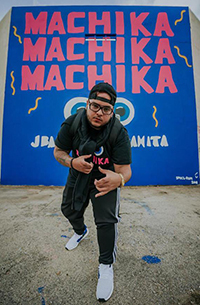 This Papiamento word is rapidly becoming famous worldwide, because of the song “Machika” and music video that was released on January 19 (2018) by Colombian reggaeton singer J Balvin featuring Brazilian singer Anitta and Aruban born Jeon. While most of the lyrics of this song are in Spanish, it also includes some Papiamento words like the title “Machika”, the chorus and a few other words and phrases, like “batata machica” (mashed potato) and “Mi no conoce Julissa” (I don’t know Julissa). The original version of the song, written by Jeon, was entirely in Papiamento. Jeon (Jonathan Thiel) is an Aruban singer, songwriter and producer who expressed his love for his native language and said to be proud to promote it. As the government of Aruba officially declared 2018 as The Year of Papiamento, the song “Machika” came at the perfect moment.